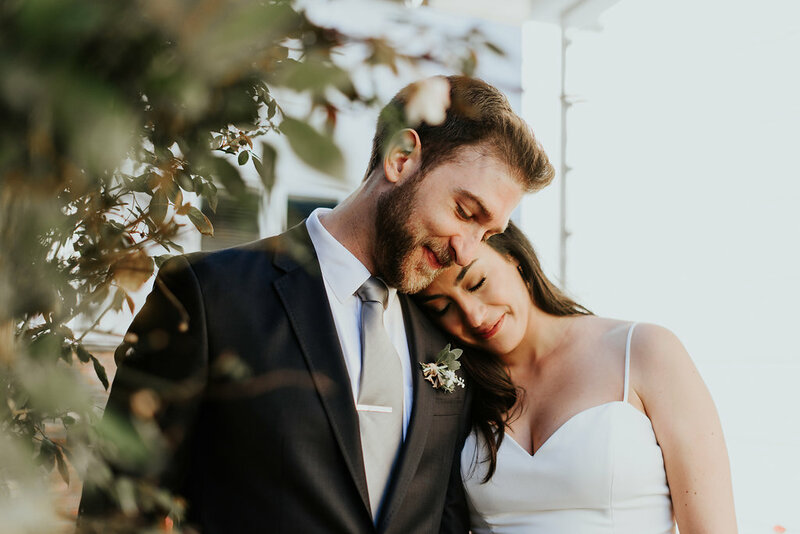 It's the organic romance and refreshing coastal vibes that drew us to this beautiful Cass House wedding. 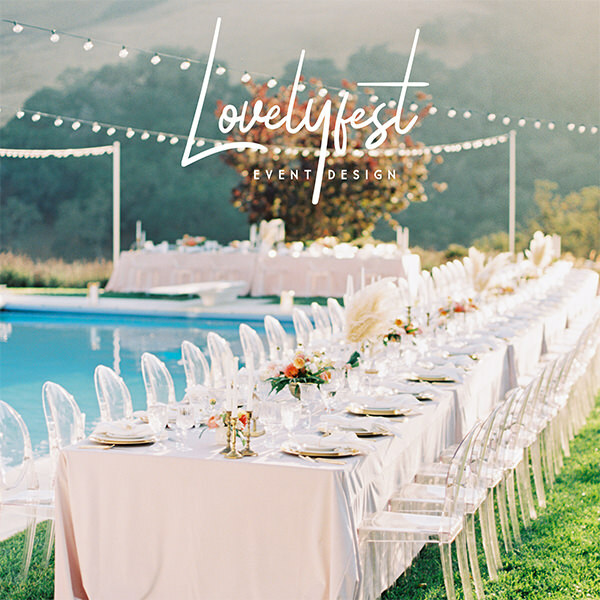 With this venue along side the coast in the small beach town of Cayucos, this couple aimed for splashes of dusty colors and refreshing greenery. April Flowers brought together stunning florals to create for the bride her dream bouquet. Alexandra Wallace allows us a peek at her amazing shots from the day! We met in Napa, and got engaged while on a hike at Skyline Park. On the way down, Nick fake tripped on a rock and then pretended that he twisted his ankle. I was so worried about how we were going to get him down the mountain. 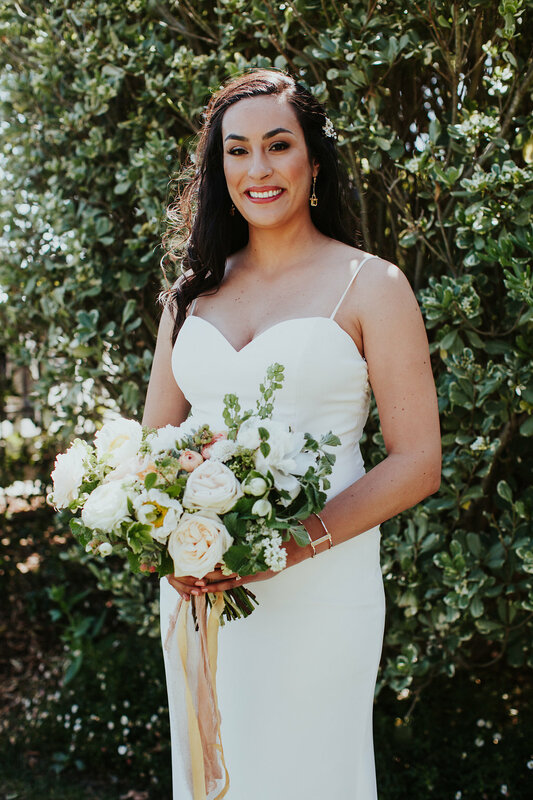 I wanted the wedding to be warm and inviting and reflect the natural beauty of the central coast. I wanted a coastal feel, with lots of soft florals, so dusty blues, white, green, with touches of yellow gold and peach. I was most excited to see the florals (I LOVED them!) and also all the dinner reception details. I loved the decor, so it was exciting to see it all come together and see our friends and family all sitting under the beautiful Cass House Pavillion. A super memorable moment was during the father/daughter dance... In the middle of it, everyone started chanting "Coach Bob" (my dad) and waving their hands in the air. Getting ready in the morning with all the girls was so fun too! Pick good vendors and trust them to guide you. Take a moment with your new husband to take it all in. Don't drink too much at the rehearsal dinner. Enjoy the party with everyone you love, celebrating your marriage!